It’s super easy! Simply upload your media and we’ll tell news organisations about it. If they like it, they’ll bid on it and you get paid. It’s that simple. 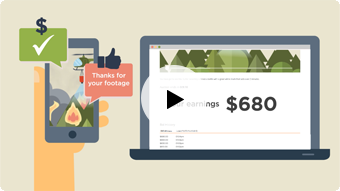 Sell-It.Media help auction your footage, ensuring you get the best possible price. And we’ll do this for free – the media companies pay Sell-It.Media a commission over and above your selling price. User-generated content is big business for media organizations. What you’ve videoed maybe their next big exclusive. Plus depending on the global interest of the event they can on-sell that footage to all the other media organizations. It’s worth good money for them. It should be worth good money to you. As an eyewitness who has something you think others may want to see, it can be hard to know just what your footage is worth (how much you should be paid for it?). Now with Sell-It.Media you can let the market tell you. We can reach everyone from your local media companies to the large global newsrooms – so you can be sure that the people who end up buying your footage, are the people who recognize it's value and are willing to reward you appropriately. We make it easy to auction your newsworthy footage to the world. Simply upload your video or images and fill out your personal details. Sell It Media then moderates your footage and informs all the relevant news organizations about your auction. Once the first bid is placed, the auction timer runs for 10 minutes, as footage is generally time critical to the news organizations. If a bid is placed within the last minute the auction auto-extends to 1 full minute. If no bids are placed within 24 hours the auction closes. Once you've submitted your personal details the auction is essentially underway. You then have the option to fill in your international bank details as payment may come from overseas. When the auction closes with a winning bid, the bidder will pay you winning bid amount to your specified bank account. By uploading media to this website, you must ensure you're the rightful owner of that media. 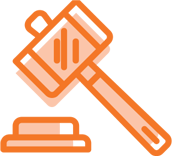 By auctioning the media, you (The Seller) grant an exclusive copyright licence to the Buyer for a period of 12 months on the terms and conditions set out in the media agreement.